Troop 230 is a boy-led troop in Lake Oswego for Scouts aged 11-17. Select "About Us" to learn more. For boys age 6-10, Cub Scouts is for them. We are not Cub Scouts, but click here for contact info on local Cub Packs. ARE YOU READY FOR SUMMER CAMP?!?!?! With our busy lives, we often don't think about what is just around the corner. Mark Your Calendars - Our's is! We are only a few months away from our Summer Camp Extravaganza; where a few brave adults, and a bunch of excited scouts will be making their away towards the coast for a week long, fun filled, experience at Camp Meriwether! You can assist Trevor in making a Flag collection box as part of his Eagle Project. For Saturday, bring gloves and wear old clothes. The afternoon will be spent staining wood for the collection box. For Sunday, bring gloves, drills and screwdrivers if you have them. The afternoon will be spent assembling the collection box. Please be sure to register above to indicate if you will be attending a shift! Supplies: Bring a day backpack with your lunch and snacks, water, ten essential, camera if you wish, and gear for all types of weather. Wear hiking boots or sturdy shoes, the trail is rocky. Sign-up: Please Register Here before noon Pacific on Thursday (4/11) so we can confirm that we have enough drivers. Another adult leader is needed!! Please sign up. 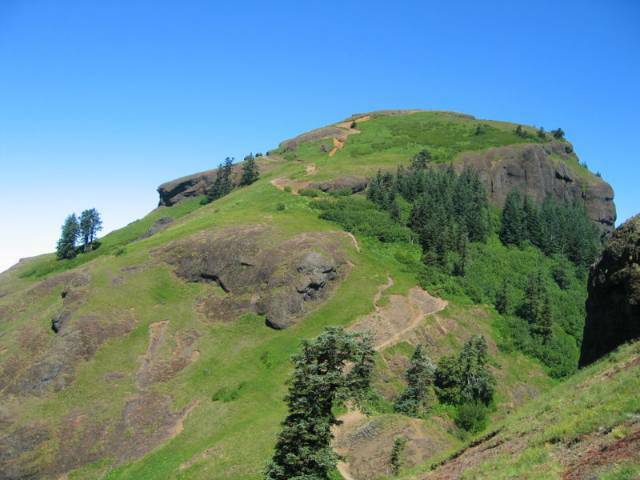 We will meet at our Our Lady of the Lake at 8:00 AM, load-up cars and drive to the Saddle Mountain trail head. The hike is 5 miles round trip with an elevation gain of 1,900 feet. This is our first hike for the season, so we'll set a relaxed pace. We'll eat lunch along the trail, finish our hike, and return Our Lady of the Lake by 3:00pm (estimated arrival time). Supplies: Bring a compass if you have one, boots (the park is soggy), clip-board, straight-edge ruler, and pencil. Sign-up: Please Register Here before noon on Friday (3/15) so we can bring enough materials! Our plan is to meet at the Round Table Pizza on Boones Ferry Road in Lake Oswego at 11:30. We will order pizza, eat, spend 30 or so minutes talking together about orienteering, map reading, declination, etc and merit badge requirements. We will then take the boys to Mary S. Young park to complete a course and apply what they've learned together. We will also offer some resources and ideas to help them in preparing their own orienteering course to meet badge requirements. We will be back at Our Lady of the Lake by 3:00pm. Bring $5 for pizza and an orienteering compass if you have one. Spring is in the air and we are excited gradually to intensify Philmont preparation! First, we need to lock in our plan to get there, starting with plane tickets.